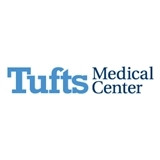 Tufts MC Primary Care Boston (Boston) - Book Appointment Online! At Tufts Medical Center Primary Care Boston, our doctors, nurses and staff have one overriding mission, and that’s taking care of you. We are the main, adult primary care practice at Tufts Medical Center, a leading academic medical center in Boston. Here, you will find world-class medical care and physicians with the welcoming and supportive feel of a small practice. As your medical home, our primary care physicians (PCPs) and health care professionals are dedicated to disease prevention and keeping you as healthy as possible, while providing you medical expertise, compassionate care, and access to specialty care when you need it. Very professional , listening , respectful of my opinion . She directed me very strongly what I need to do in best direction for my health. I will stay with her as my primary care doctor as long as She is in Tuft Medical center. She is very caring and take times to listen to my concern. Was great! Answered any questions I had and helped me schedule an eye exam as quickly as possible. Dr. Tishler is thorough and listens to my concerns and questions. We have a great conversation about how I can be, and stay, healthy. She’s respectful and gives me options and information to find the best path for me.